A Cooling System is like a computer--we use, trust, and rely on them to do jobs we can't do, but we may not really know how it works. It may seem daunting to learn about your Cooling System, but it's easy to understand once we get down to the basics. Air Conditioning has two basic purposes: to remove heat and remove humidity from the air in your home. In other words, an AC conditions and improves the quality of the air. It starts by pulling air through the return and is pushed up by the blower. 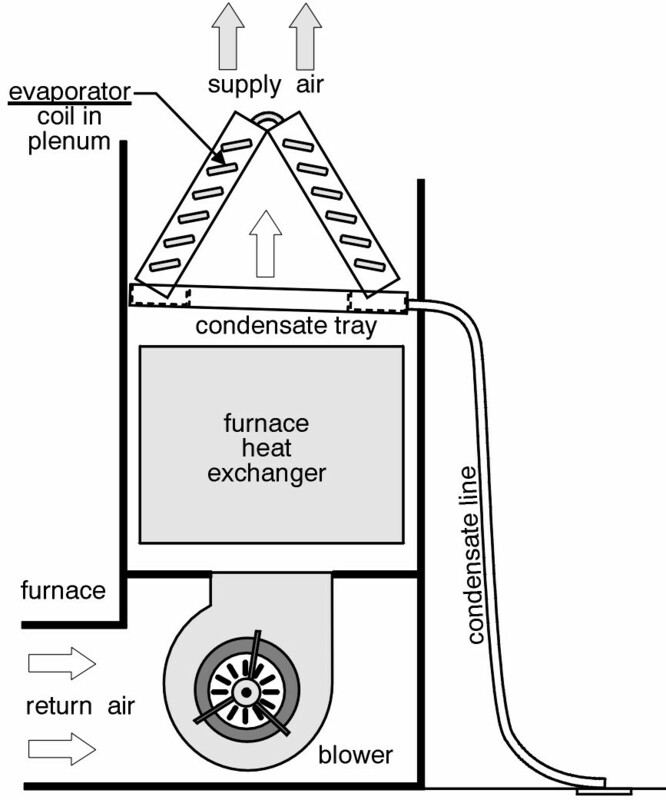 It then passes through the coil (which sits on top of the furnace), and removes the heat and moisture out of the air. It is then passed through the supply vents and back into your home. There are three basic types of central air AC units: single-stage, two-stage, and inverters. Keep reading to find out which Cooling System is right for your home. Single-stage: A single-stage unit is either all on or all off. This is a basic system, good for small spaces on a budget. Two-stage: Two-stage ACs act like a large AC on hot days and a small AC on cool days, which saves electricity and creates even temperatures throughout the home. These are the most popular units, and are great for any home. Inverters: The most advanced system, an inverter will keep your thermostat at a desired temperature at all times. You won't experience hot or cold spells in your home--it will provide you with maximum comfort. Inverters work well in any home. Efficiency is key when buying a new system, because the higher the efficiency, the more you save. Efficiency is measured by SEER (Seasonal Energy Efficiency Ratio). The higher the SEER rating, the more efficient the system. Just like a truck and Prius can both go 50mph, the Prius will use less energy and fuel to achieve that speed. The energy savings between a 13 SEER and a 20 SEER is roughly $400 a year. You can learn more about how you can save money through efficiency here or by calling AB May today. Cooling Systems are sized by tonnage, with the smallest unit at one and a half tons and the largest at five tons. For your home to cool properly, it is vital your unit is the right size. When it comes to ACs, bigger isn't always better. If a unit is too large, it will cool too quickly without removing humidity from the air, then shut off until temperatures rise again. If a unit is too small, it may never reach a comfortable temperature. 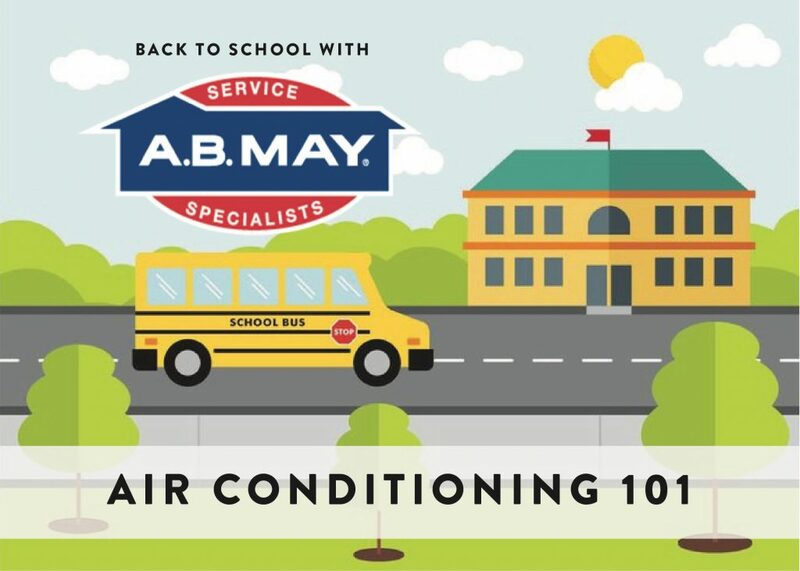 Thanks for joining us for Air Conditioning 101!